Turn the lights down. 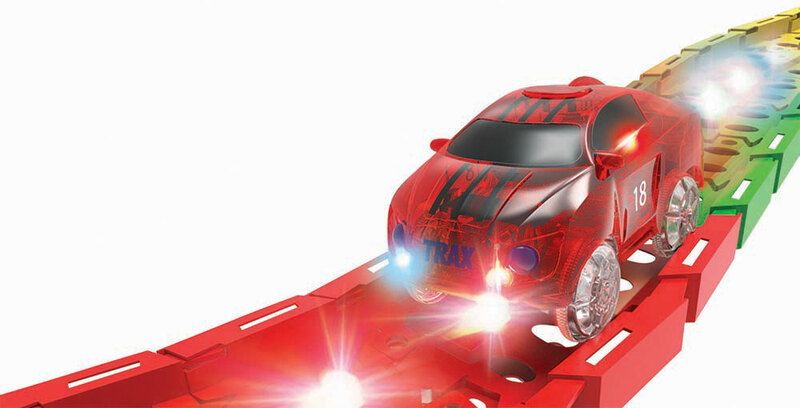 This powerful, transparent race car explodes with color as it races over the tracks – lit by vibrant LED lights! 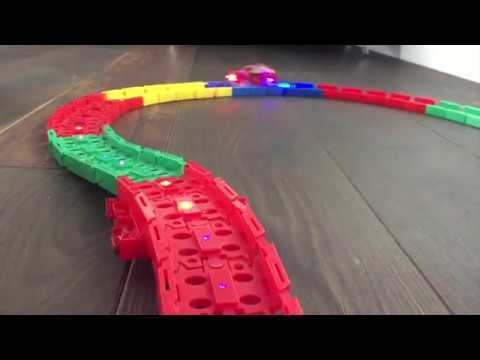 Flexible snap-together pieces let kids design different courses, and the transparent track is flexible and bendable, great for building limitless track configurations. 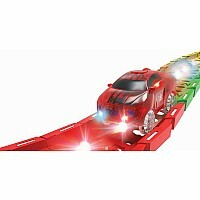 This set includes one light-up transparent red race vehicle with 5 LED lights, eight feet of flexible LED track, and four feet of standard flexible track. The race car requires 2 AAA batteries (not included). The LED Track Power Base requires 2 AAA batteries (not included), or you can plug in the Power Base via Micro USB for battery-free fun! Compatible with all Mindscope Twister Tracks & Neo Tracks sets. Collect more and build bigger! Measures approximately: 9.90 x 6.70 x 4.50 inches..